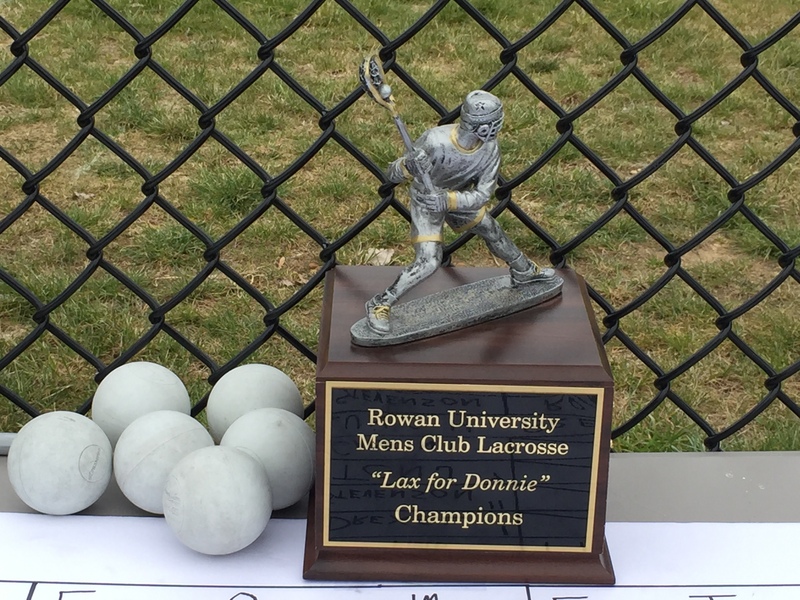 Before “LAX for Donnie” became a tournament that teams across the area flock to, the Rowan men’s club lacrosse team did not really know the story of the club co-founder, whose name marks the memorial event. Almost 10 years ago during homecoming week, Donald “Donnie” Farrell was attacked and killed on Old Heston Road. His attackers were never caught. This happened years before any of the current members of the team had even thought about college. They didn’t know who Farrell was. But when they found out about him and his story, they knew they had to do something. Mahoney continued on that the club thought that them not knowing about Farrell was “messed up,” as was the fact that there’s nothing to remember him by on campus. He explained that the LAX for Donnie Memorial Tournament was their way to honor Farrell. In April, the club will be putting in a brick by Bunce Hall in commemoration. Mahoney also said that the team will be installing a tree and a plaque at the intramural field. Since its inaugural running in 2015, the tournament has gained traction with teams in the area. Some programs, like Stevenson University, did not wait for an invitation—they asked to come and play. 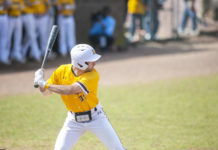 After hosting the tournament at Johnson Road Park in Sicklerville, New Jersey, a year ago, LAX for Donnie returned to Rowan’s campus this year with games being played at Richard Wackar Stadium and the intramural field. 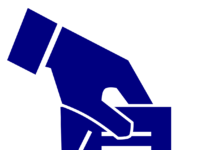 Eight teams took part in the competition and were divided into two conferences. 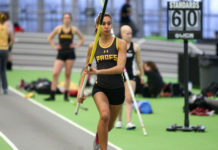 The Donnie Conference consisted of Atlantic Cape Community College, Drexel University, Stevenson University and Rowan, while the Farrell Conference had Cabrini University, Dickinson College, Penn State Berks and The College of New Jersey. The eight teams were the most that the tournament has ever had. Each team would play through their conference before the top team from each side met in the championship. Dickinson had won the tournament the previous two years. 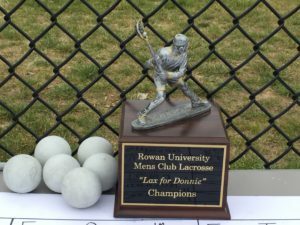 This time, however, it was Rowan defeating TCNJ, 9-2, in the final game to win the LAX for Donnie Memorial Tournament. However, the results on the field weren’t the true focus of the tournament, and many people knew that. For more information on the Donnie Farrell story, go to thedonnieproject.com.